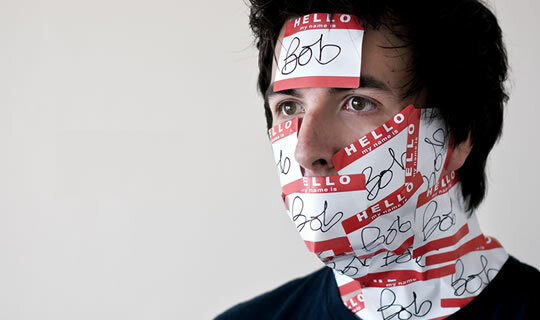 Names are more difficult to remember than people’s jobs, hobbies or home towns. There’s little doubt that people’s names are hard to remember. No, it’s not just you, research suggests there’s something unusual about names which makes them particularly tricky to recall. Indeed some researchers suggest that people’s given names are the most difficult of all words to learn (Griffin, 2010). So names are more difficult to remember than what people do, what their hobbies are and where they come from. And, you won’t be surprised to hear, as we age, most of us get even worse at remembering names. All kinds of theories have been put forward. One is that lots of us have the same names. People guess that common first names like ‘John’ and surnames like ‘Smith’ are more difficult to remember because, on our minds, one John Smith interferes with another. Counter-intuitively, though, some research suggests common names are easier to recall than unusual names (James & Fogler, 2007). Other research suggests the opposite so it’s not exactly clear what is going on (Griffin, 2010). The most popular explanation in the research is that names are essentially arbitrary and meaningless. For most of us our names give away few clues about our appearance, our personalities or anything about us, except maybe a rough age, ethnicity, social class and whether our parents were celebrities (hello ‘Moon Unit’, ‘Tu Morrow’ and ‘Moxie Crimefighter’—yes, all real names of celebrity offspring). If, for example, I was called ‘The Pink Panther’, and I happened to look like a pink panther, you’d almost certainly find it easy to remember my name (Fogler et al., 2011). Meaning is the key: we seem to find it difficult to remember names because they have weak semantic hooks. Oddly we find it easier to remember that a person is a potter, i.e. makes pots, than if their surname is actually Potter (James, 2004). We automatically treat names as meaningless, even if they have meaning. Perhaps it’s because we get so used to the lack of association between a person’s name and what they do, or much else about them. ‘Dave’ could just as easily be a serial murderer as a quantity surveyor. In fact it’s surprising if we meet, say, a Miranda Brain and she turns out to be a neurosurgeon. That’s why one common trick for remembering names is to force yourself to make some kind of memorable association in your mind. It’s also probably why nicknames are better remembered than given names: they have more meaning because people acquire them for particular traits or events.